Chapman, who has served on Samford’s faculty for 25 years, will step down as dean at the end of the current academic year, but will continue to teach as professor of English and will have a role as director of the John Howard Scholars following a sabbatical during the spring of 2016. On Friday before commencement, Howard College of Arts and Sciences honored Chapman during its end-of-semester gathering. 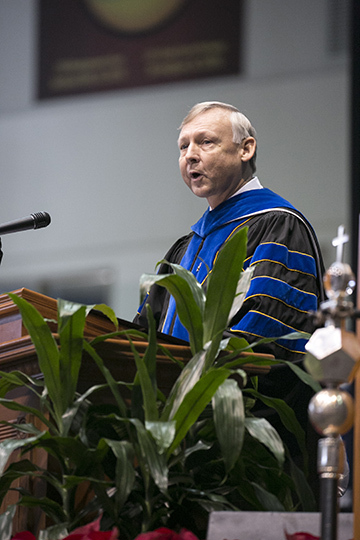 The celebration included tributes from college faculty and staff, and the distribution of A Samford Life, a book of Chapman’s reflections on his time at the university.